One thing we are passionate about at Vital Health and Fitness is helping people. Not only in training but also in trying to raise money for charity. We have done a couple of little things in the past, but we wanted to step it up a bit. 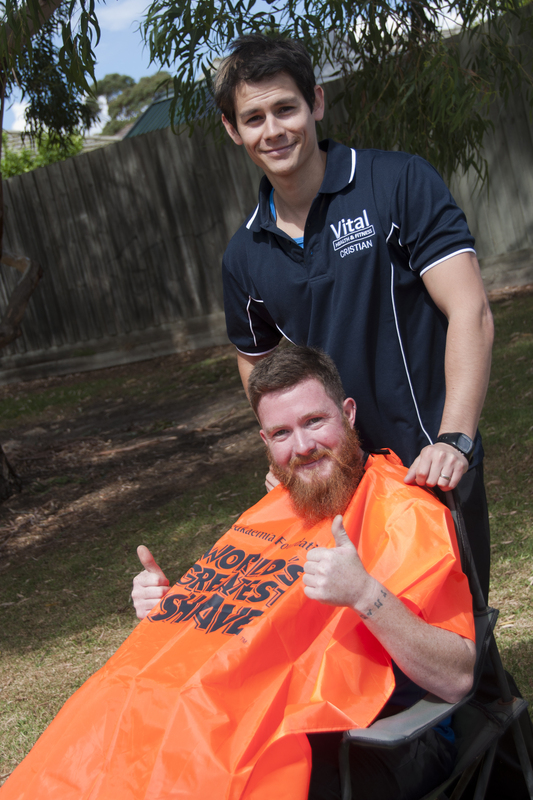 We were trying to think of ways to help charities and it just so happened that one of our clients (Chris Drabble) had actually registered for The World’s Greatest Shave. So we had a great idea of running a charity bootcamp. We gave ourselves a goal of $1000. We tried to get as many people involved as possible. Silent auctions were organized, the workouts were written and the word was spread. It was amazing how many people got behind us by donating and helping us out. We had over 60 people participate in the bootcamp and everyone seemed to love it. We can’t thank people enough for their dedication and desire to help those in need. By the end of the workouts and the auctions we managed to raise just over $2000. We are absolutely blown away by the amazing effort form everyone to raise money for a great charity. This has only made us hungrier to do more. We have decided to do at least one or two charity events a year from now on. The support from everyone has been humbling and has shown us at Vital Health and Fitness that a lot of people out there are willing to help a good cause. We look forward to bringing the community more charity event and for people to help us make them even bigger and better. We would like to thank everyone that came and everyone that donated. We see you all as a part of the Vital Health and Fitness family now.